FILE - Satellite image provided by DigitalGlobe and the Institute for Science and International Security shows the military complex at Parchin, Iran, 30 kilometers (about 19 miles) southeast of Tehran. 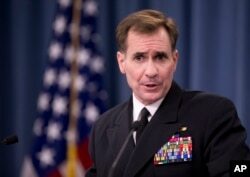 FILE - Rear Admiral John Kirby, the Defense Department spokesman, talks to reporters at the Pentagon. 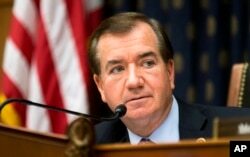 FILE - House Foreign Affairs Committee Chairman Rep. Ed Royce, R-Calif.